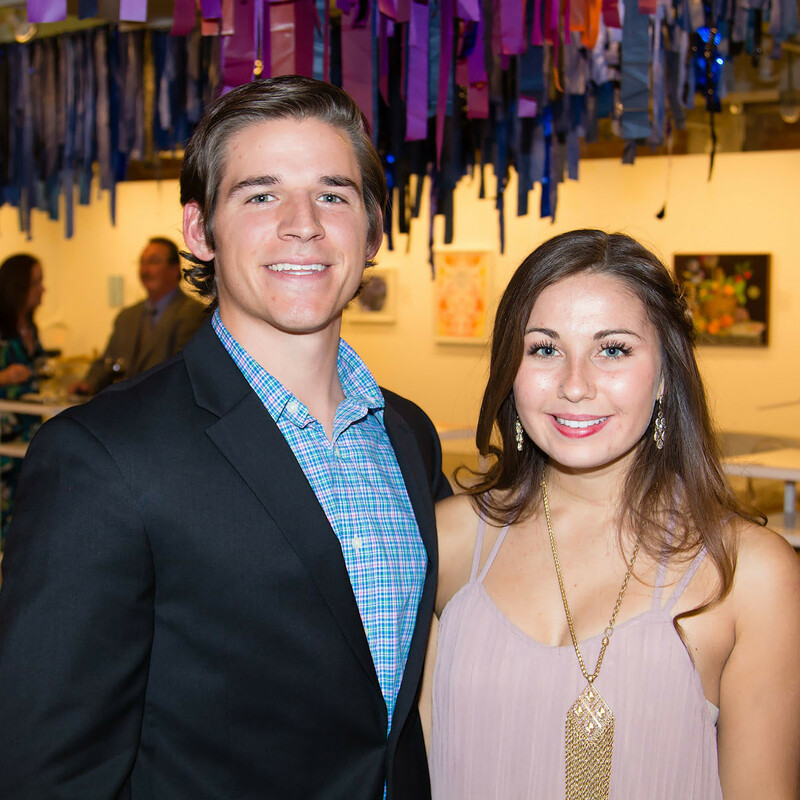 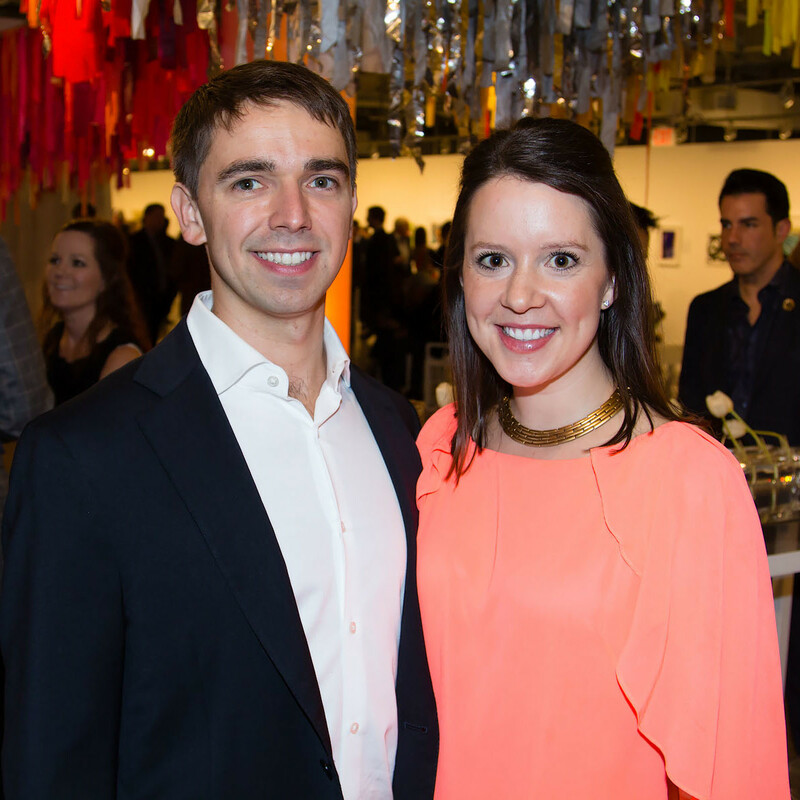 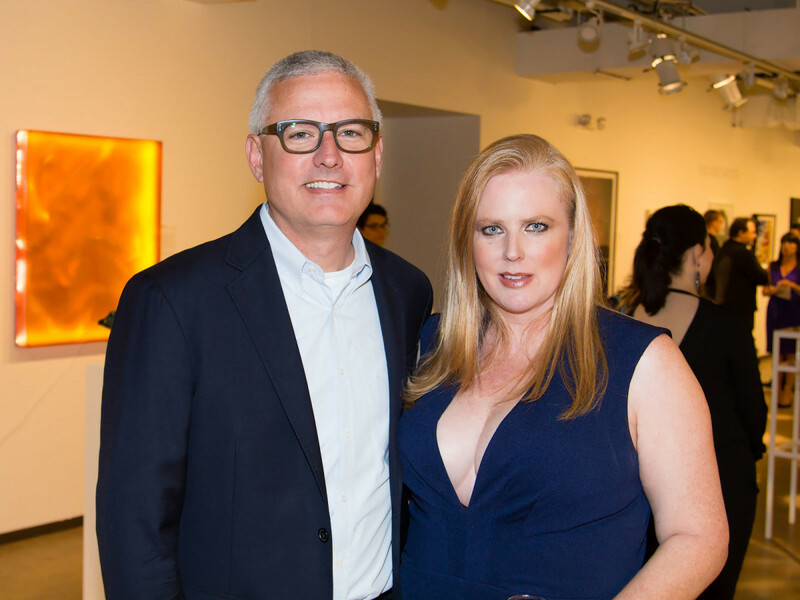 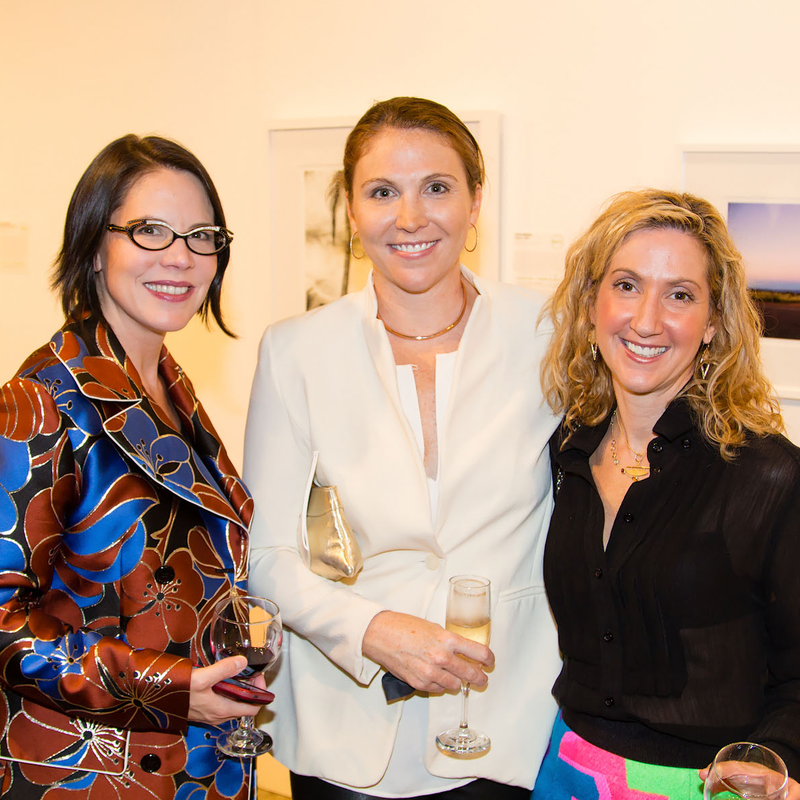 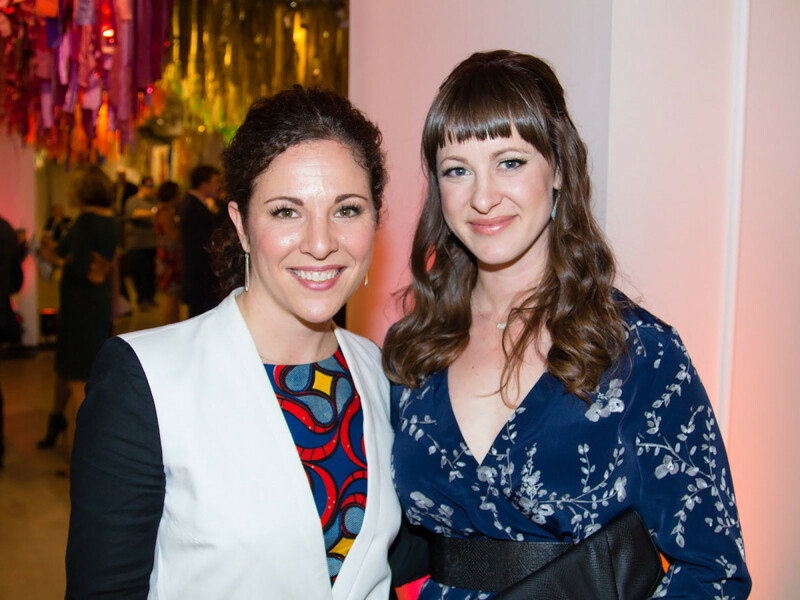 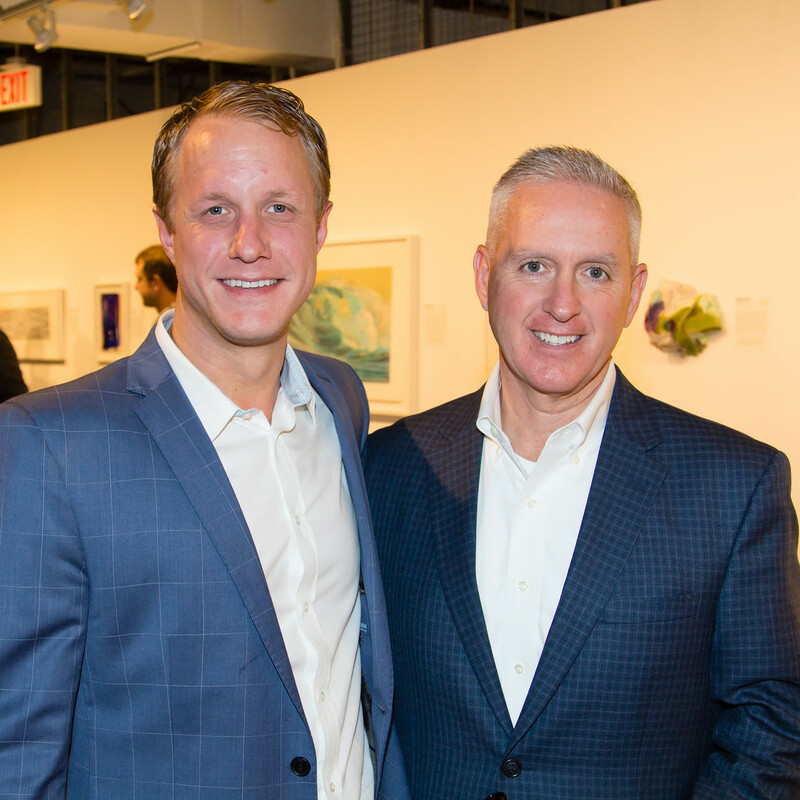 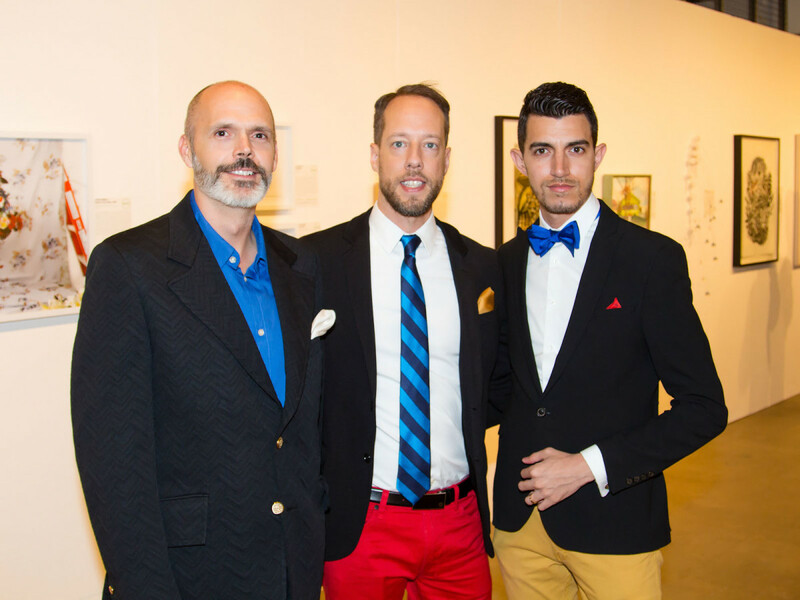 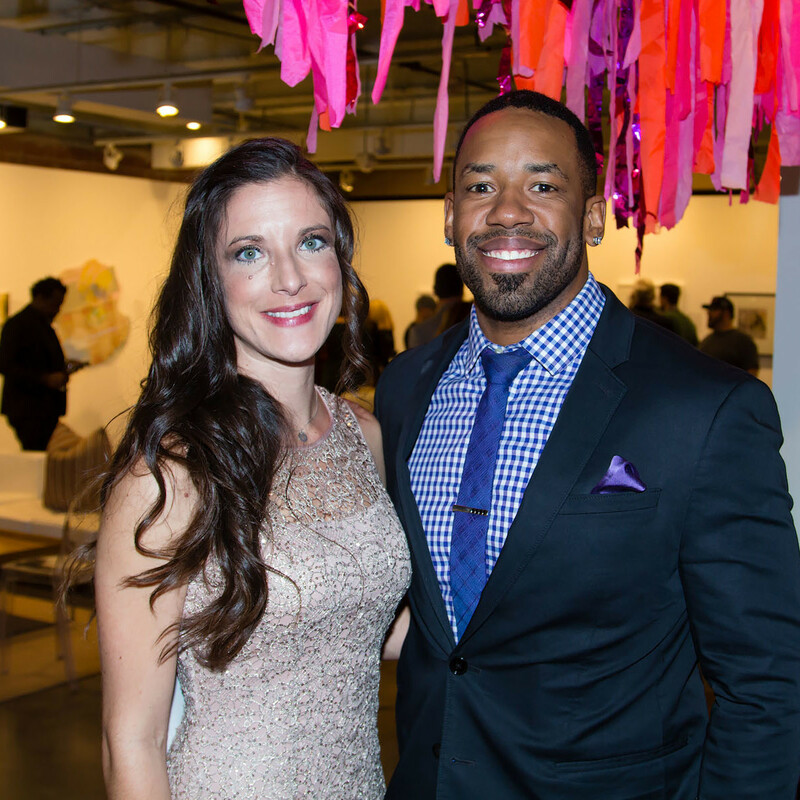 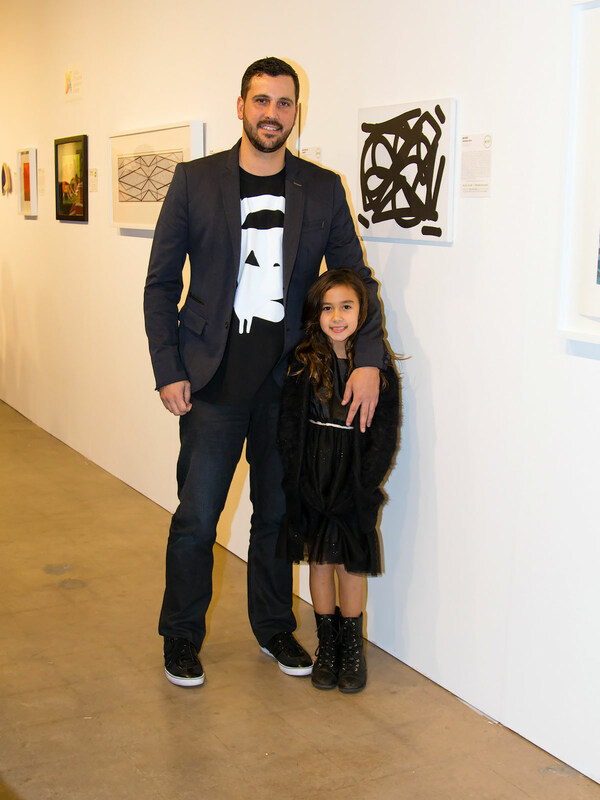 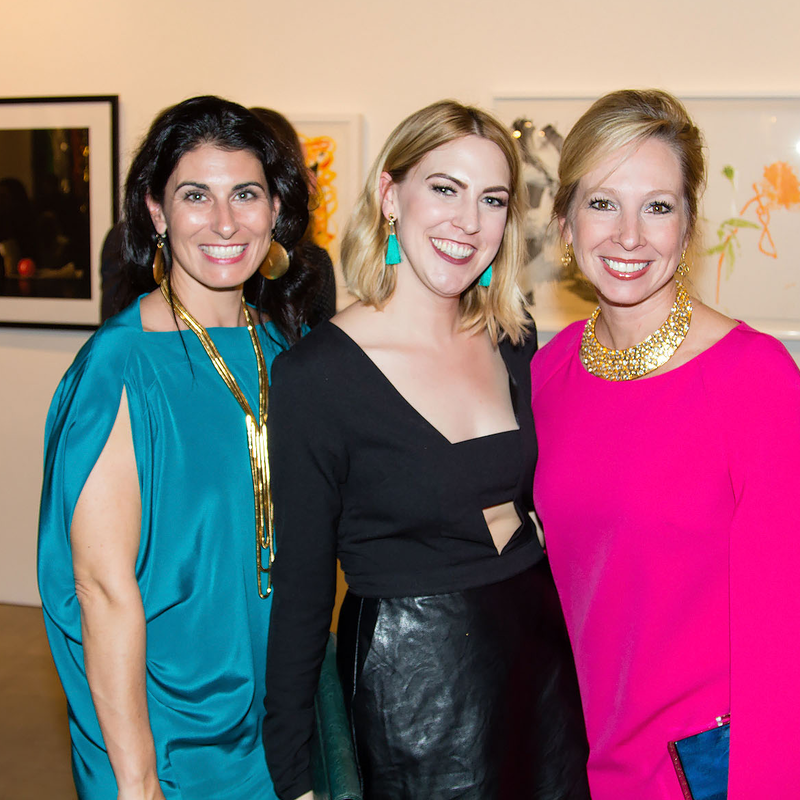 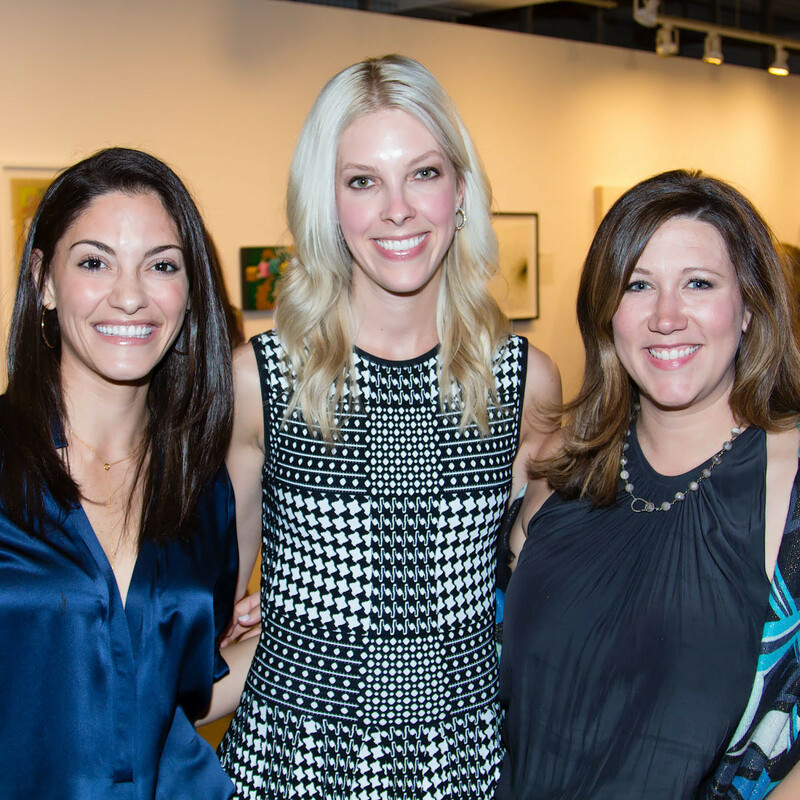 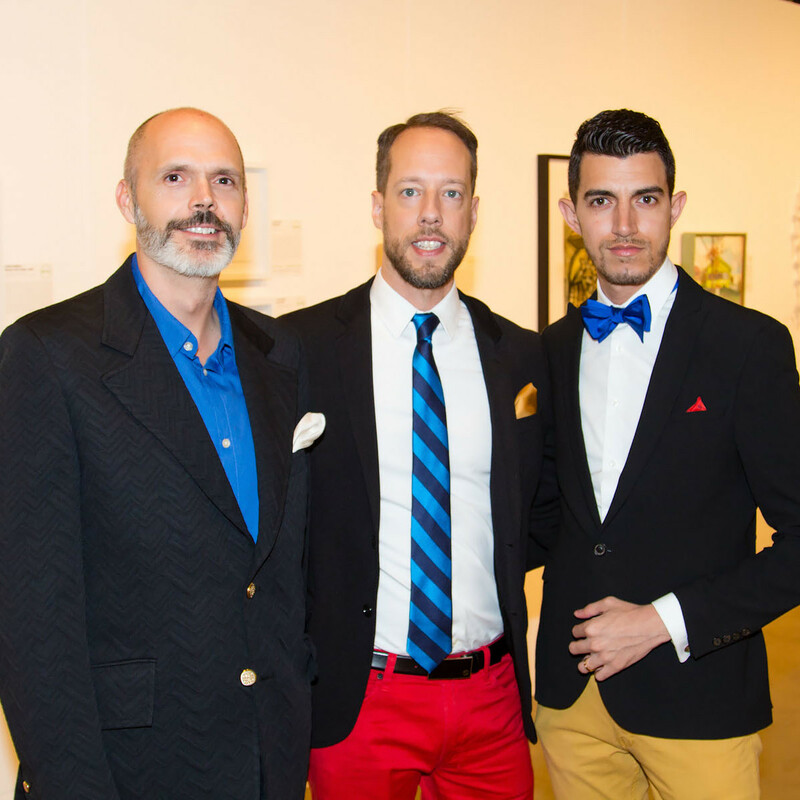 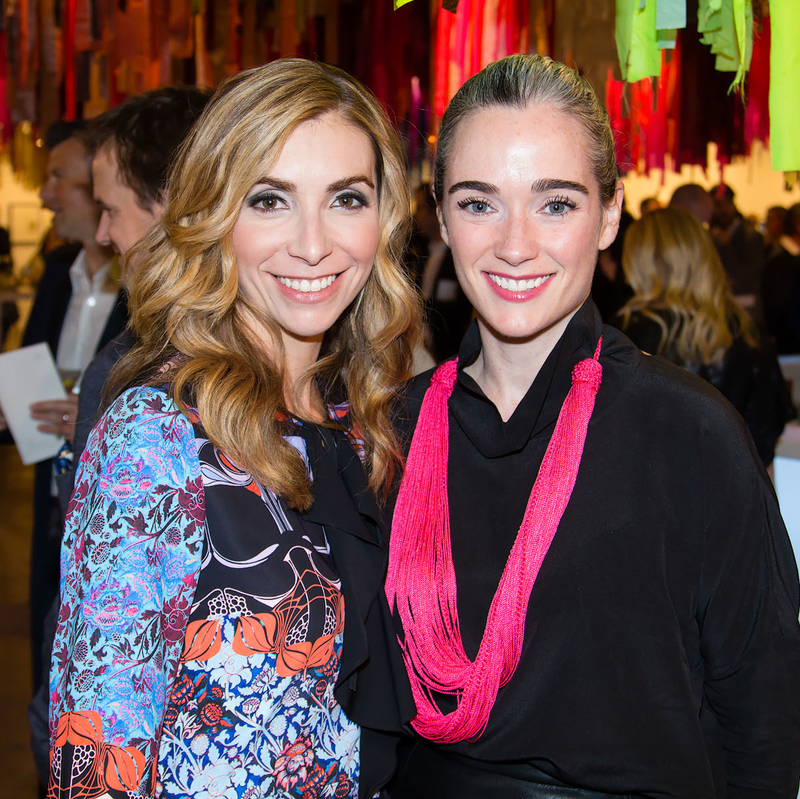 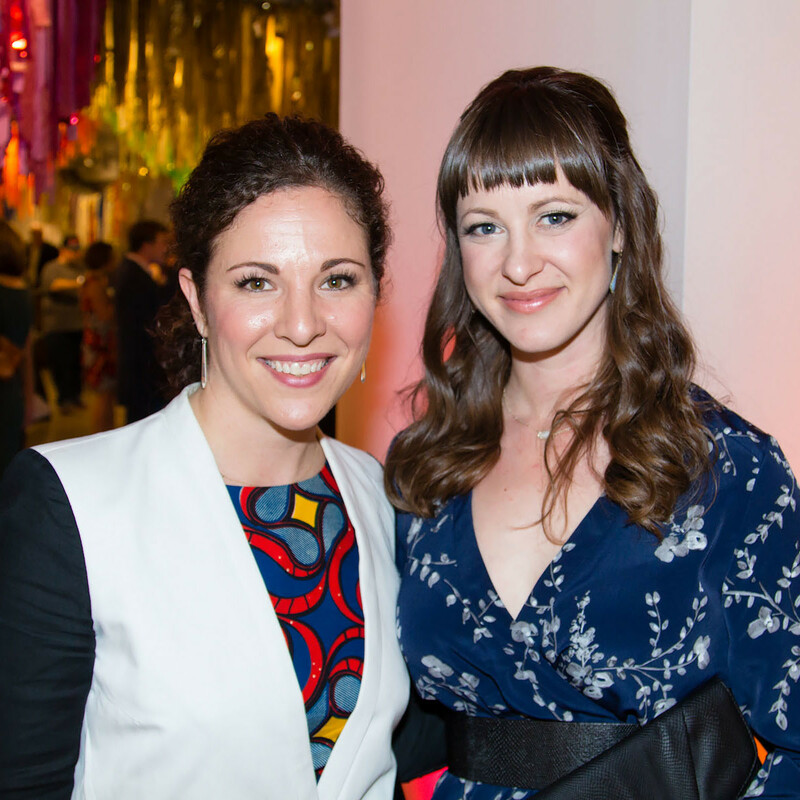 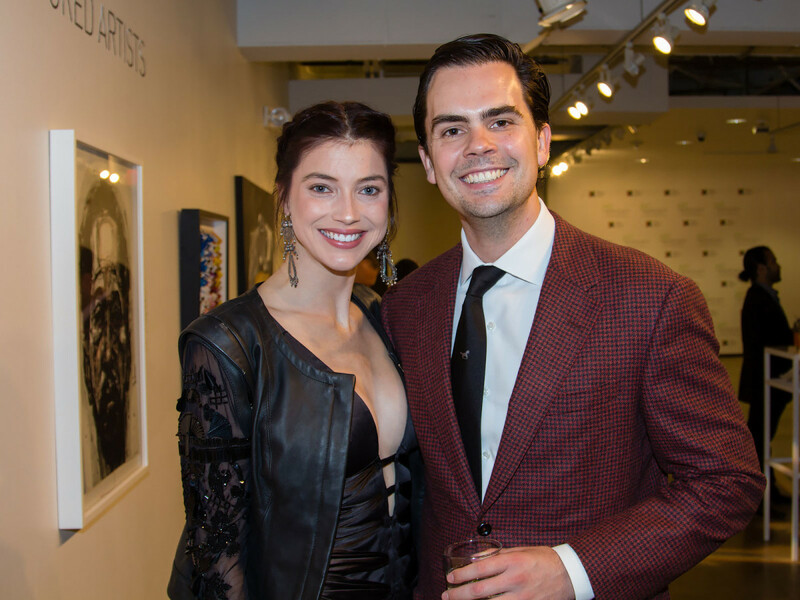 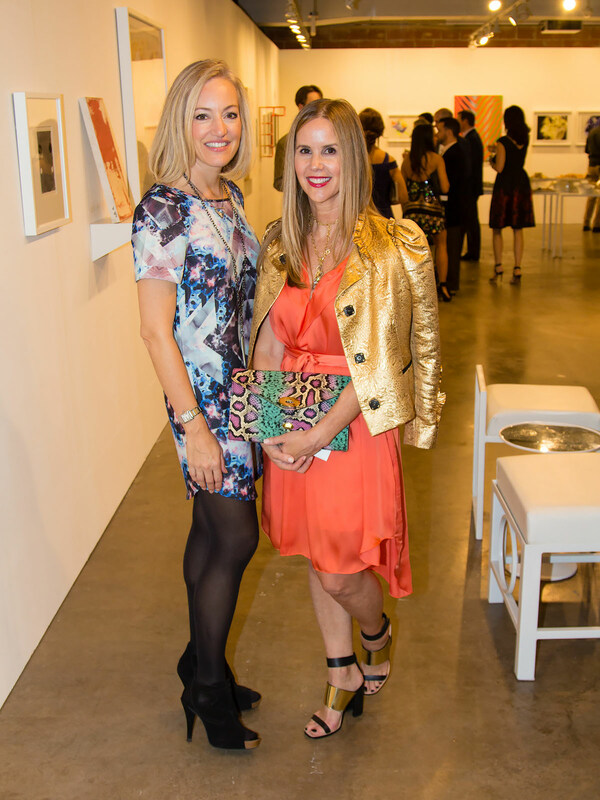 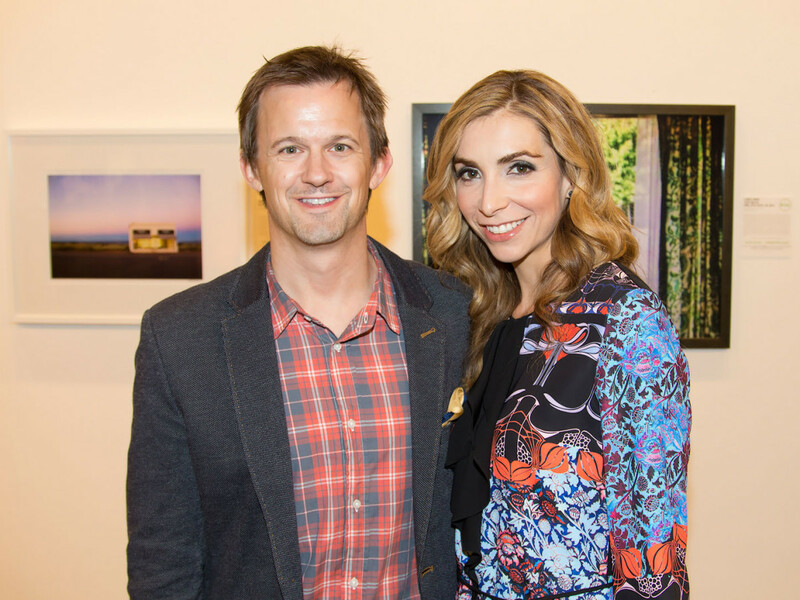 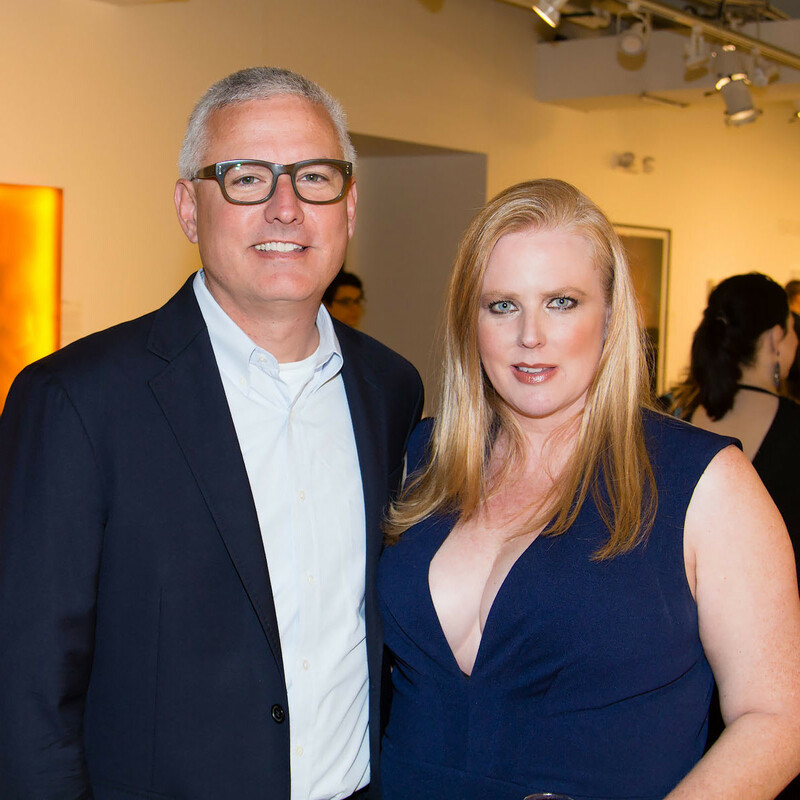 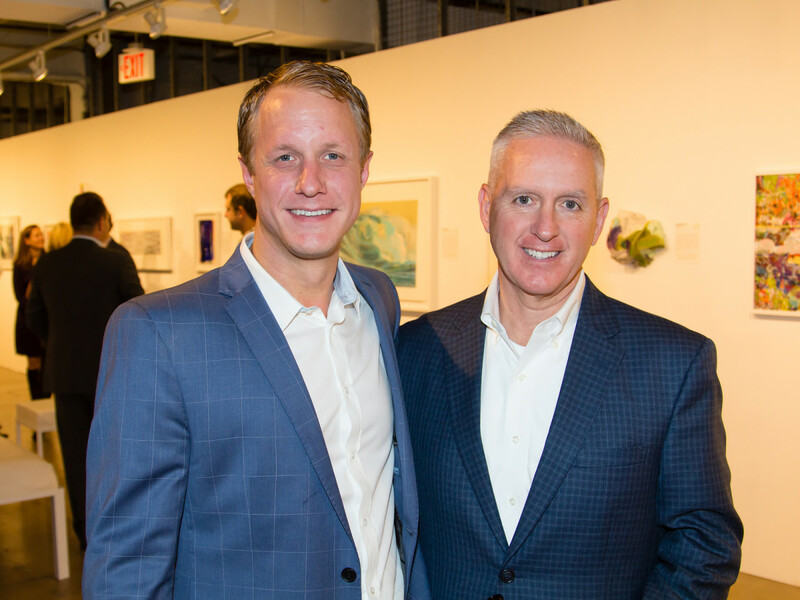 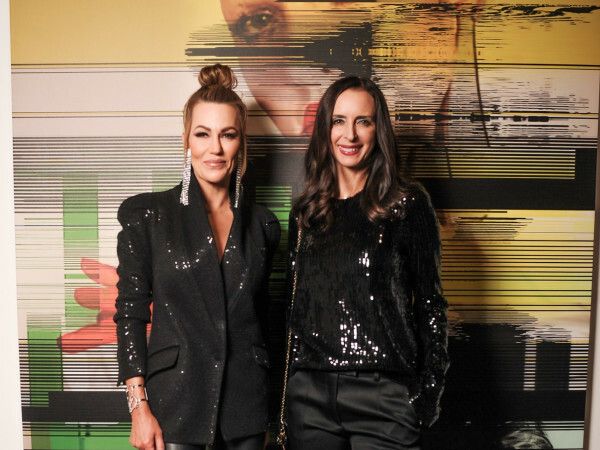 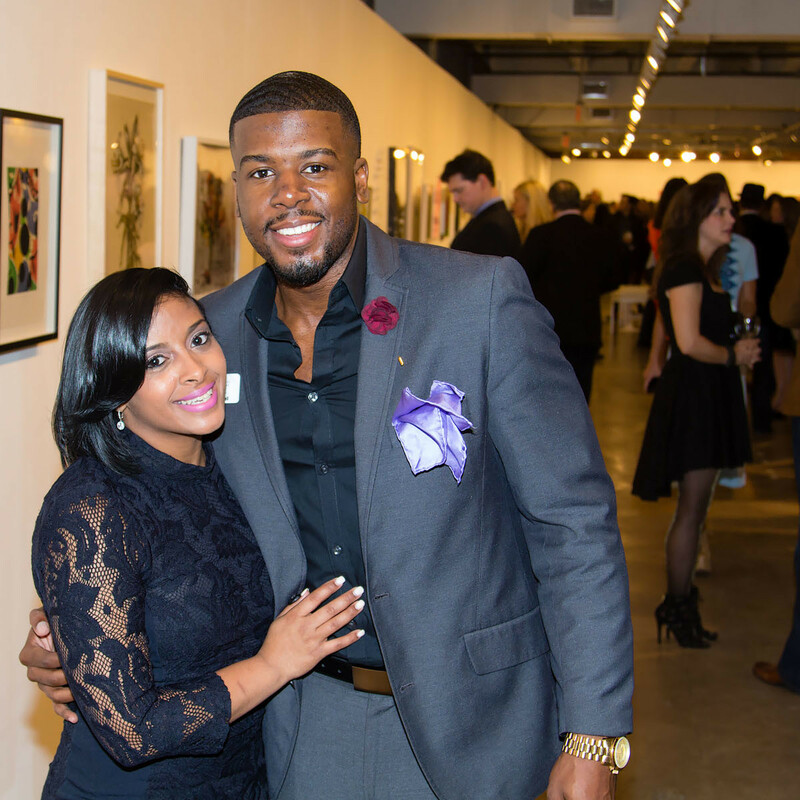 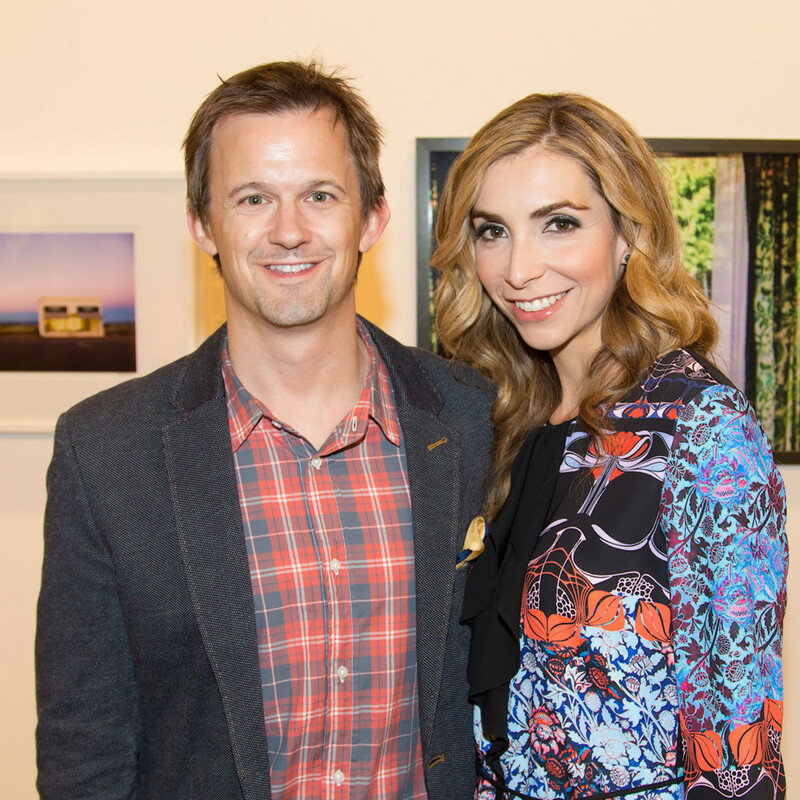 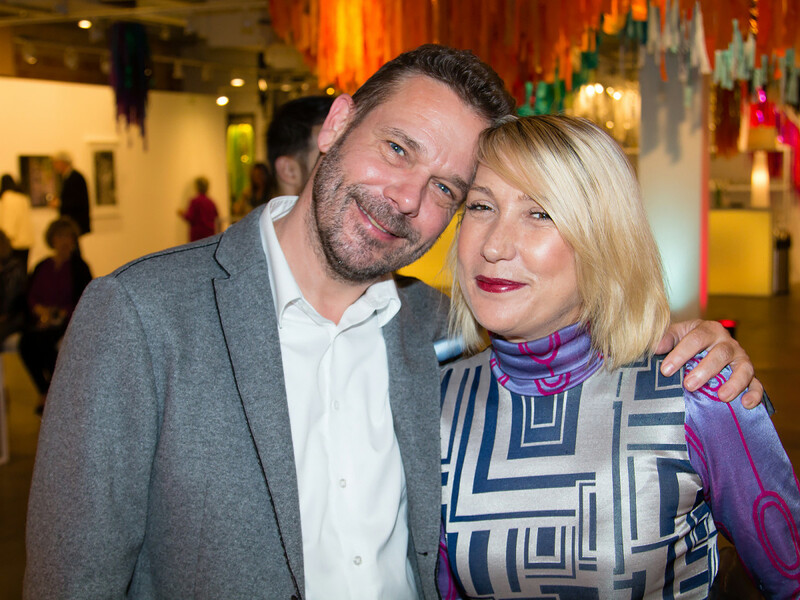 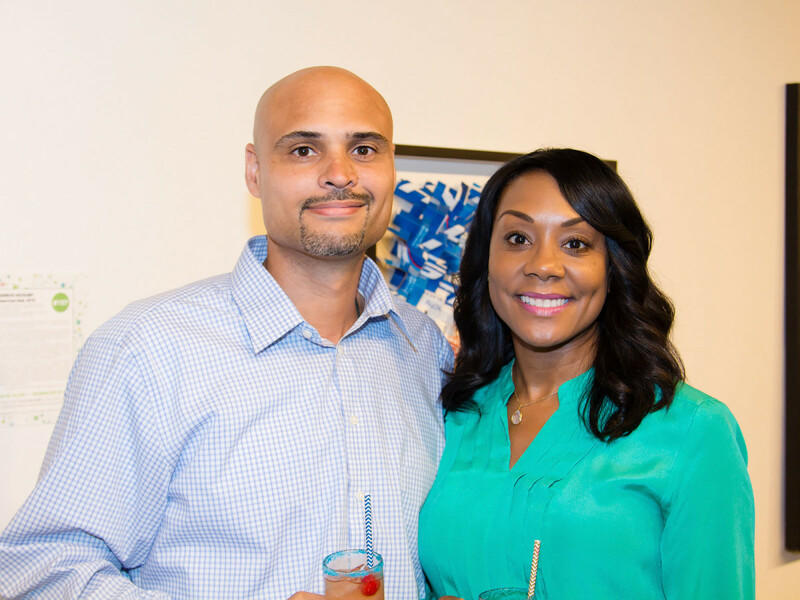 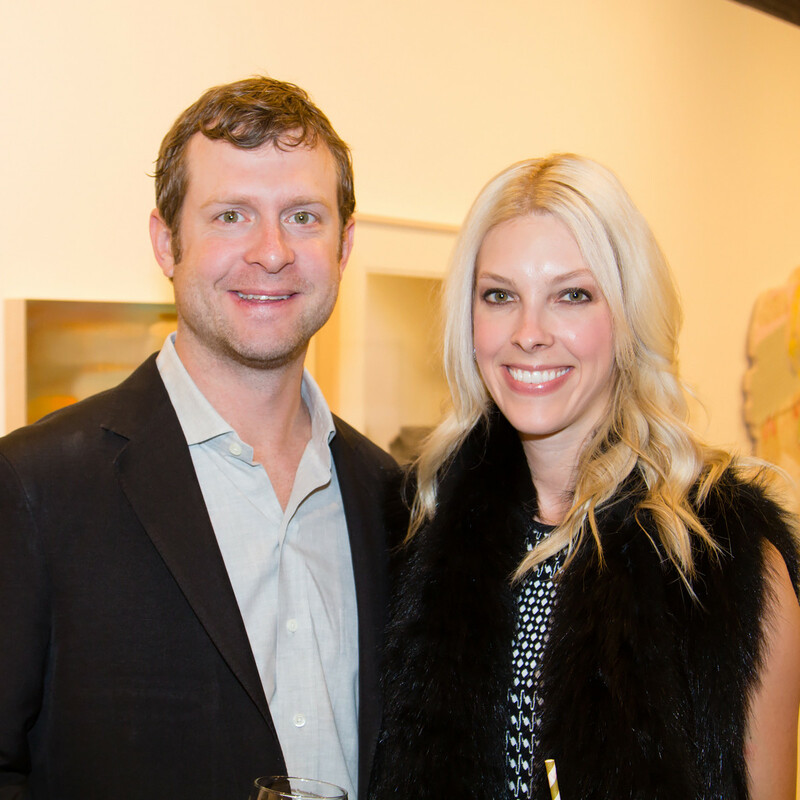 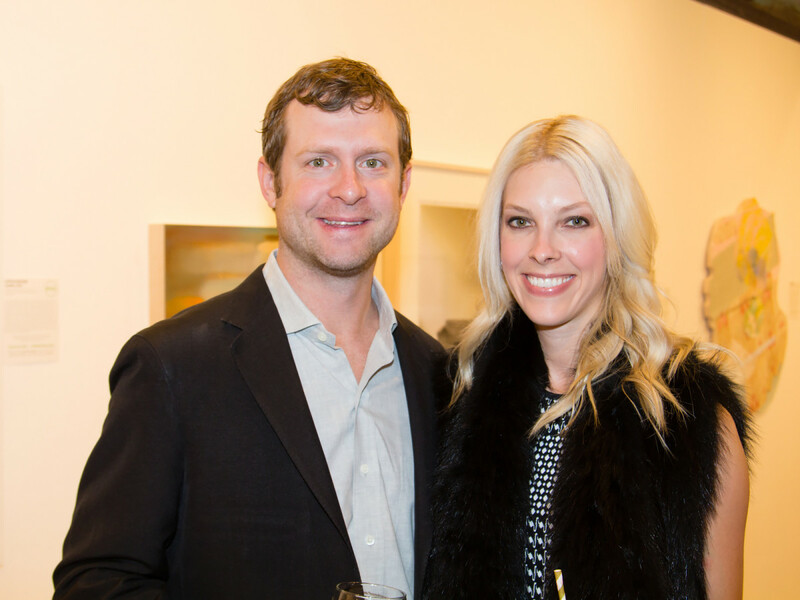 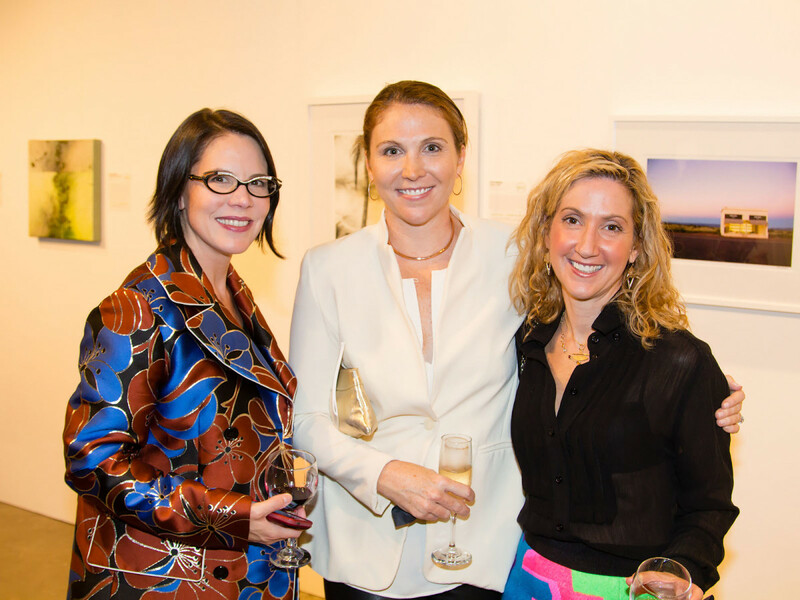 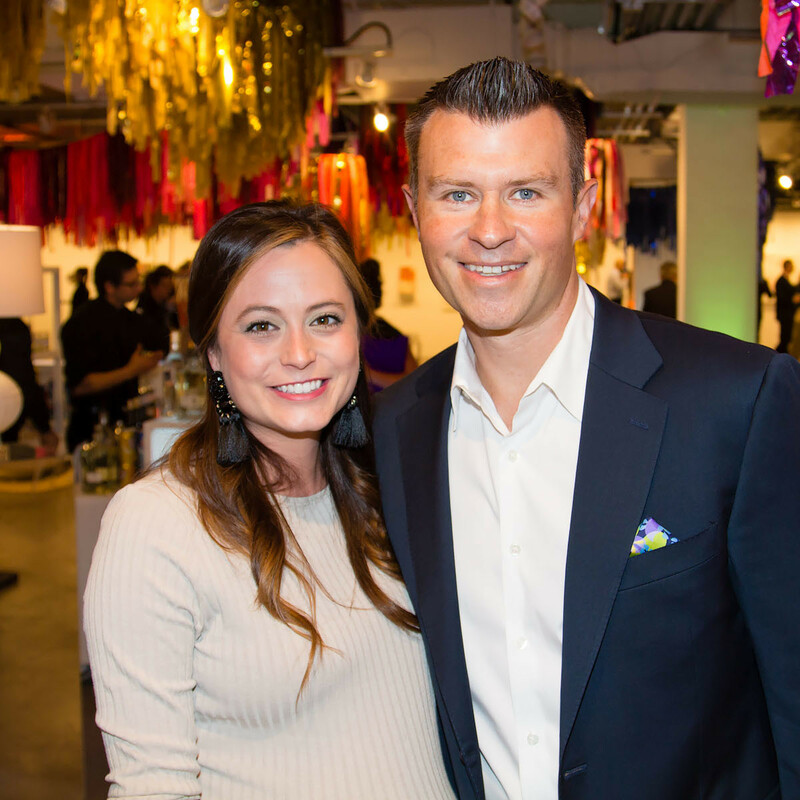 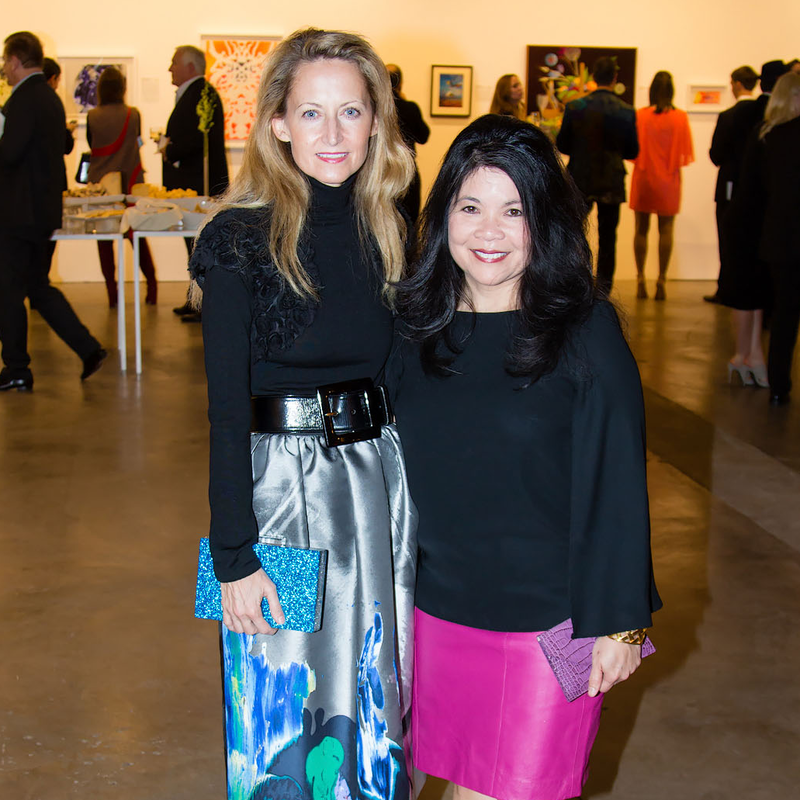 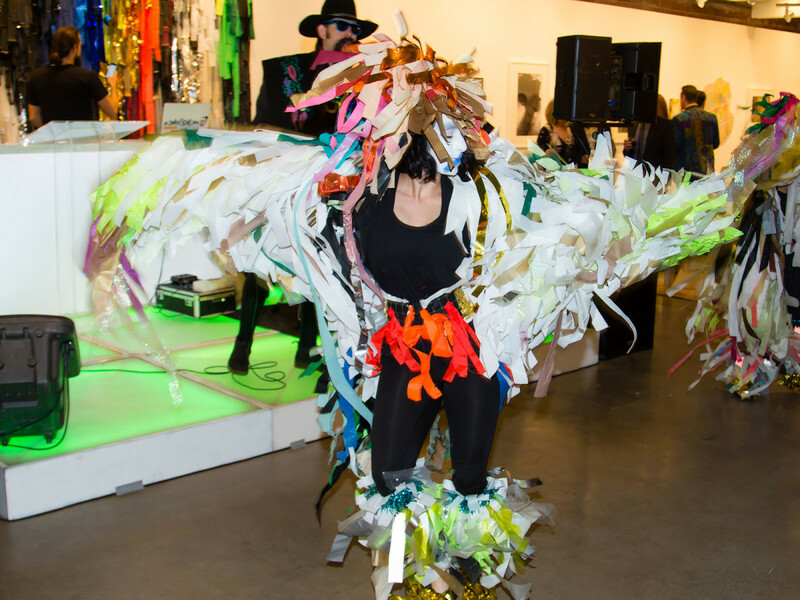 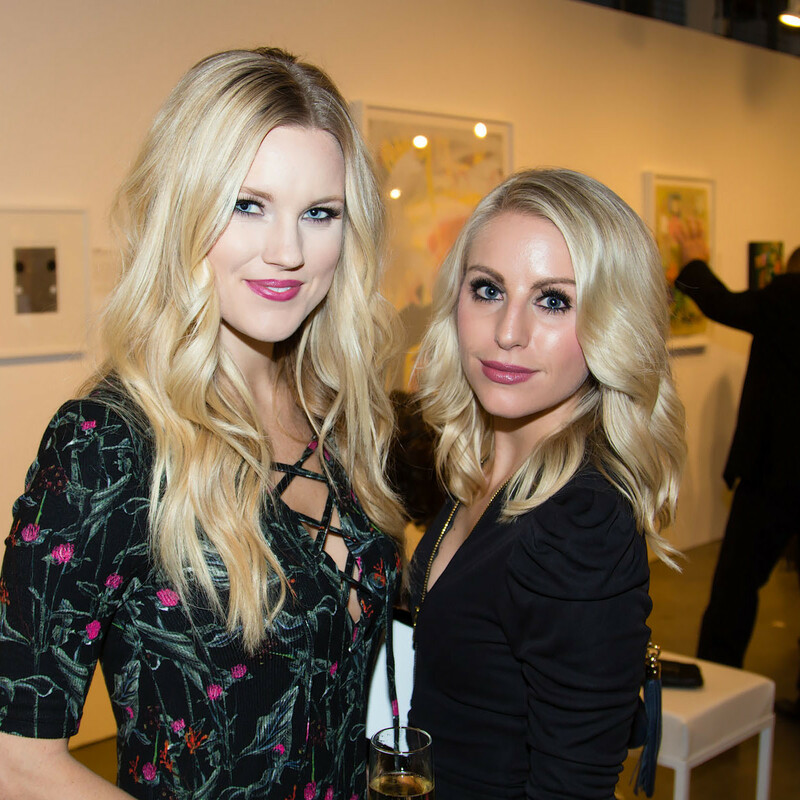 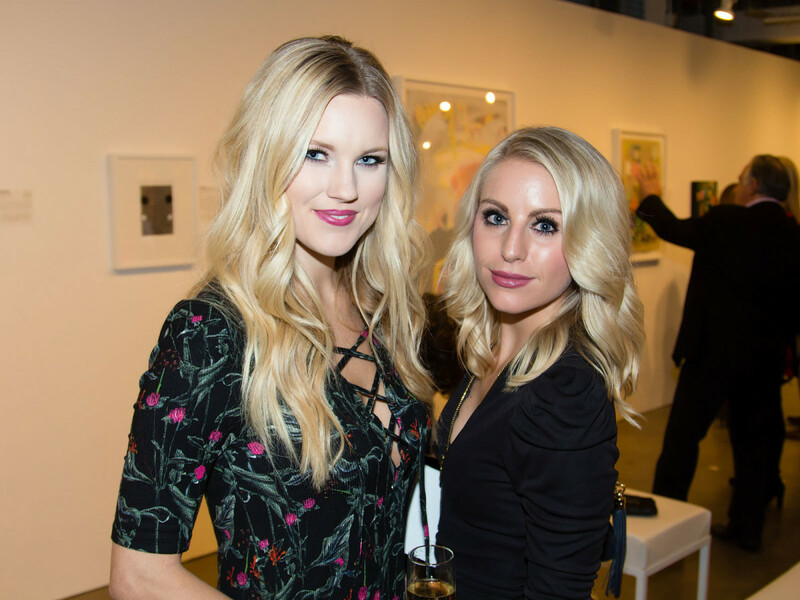 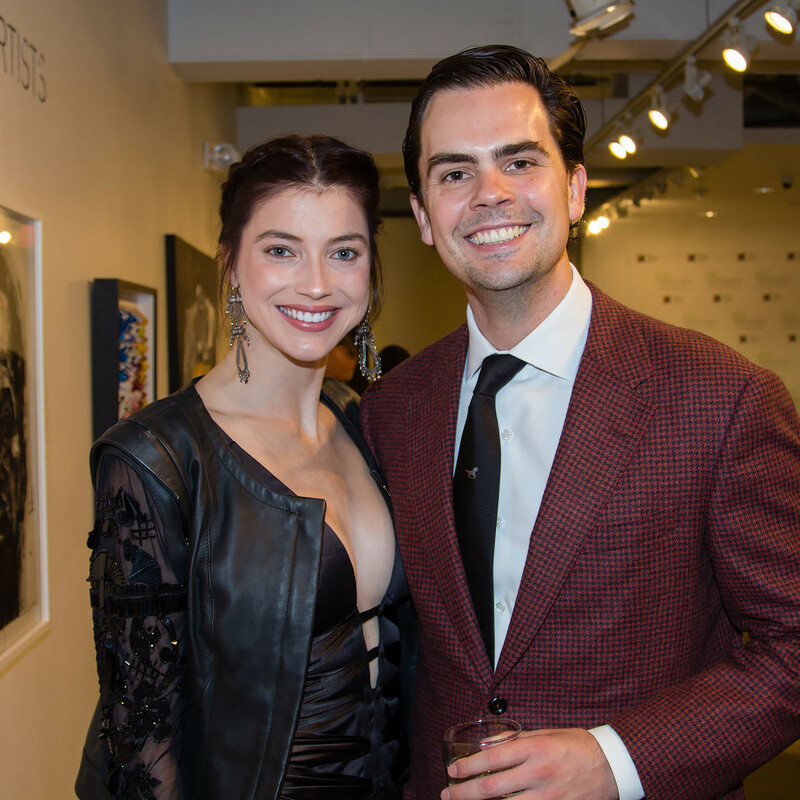 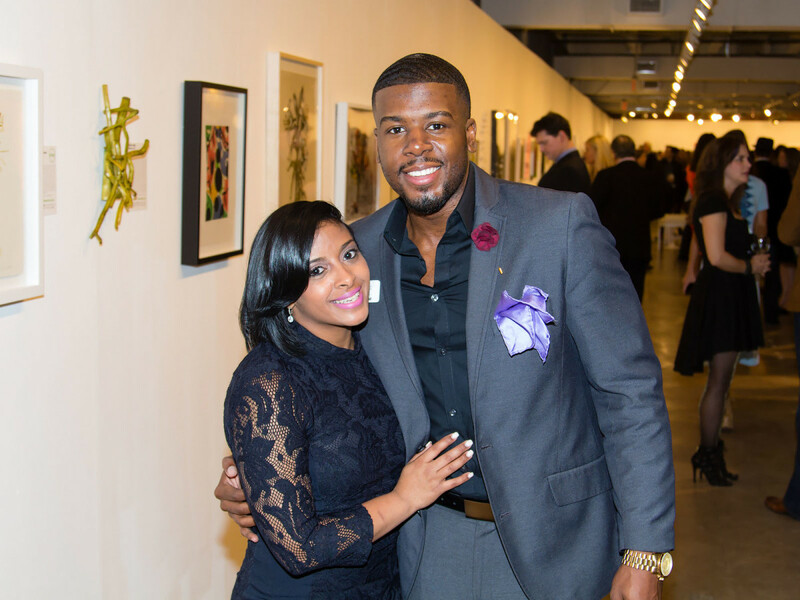 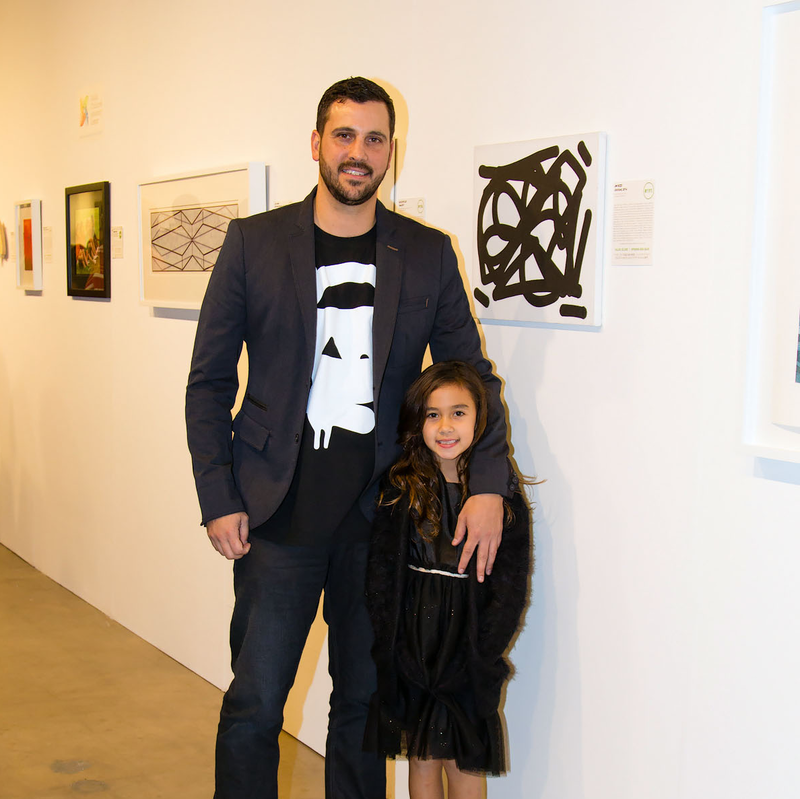 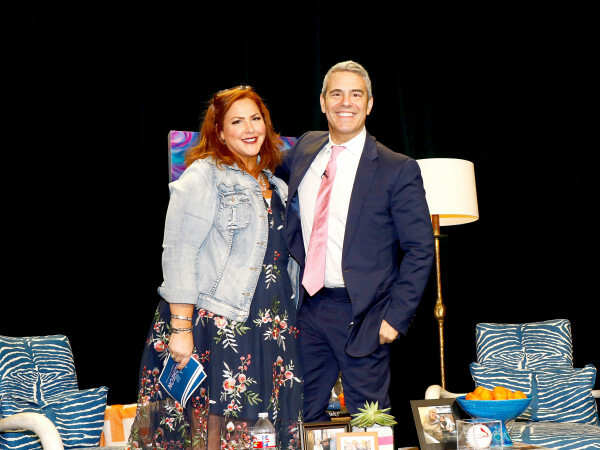 Charitable arts patrons heeded the call to action on November 7, when Dallas Children’s Advocacy Center hosted its ninth annual Art for Advocacy. 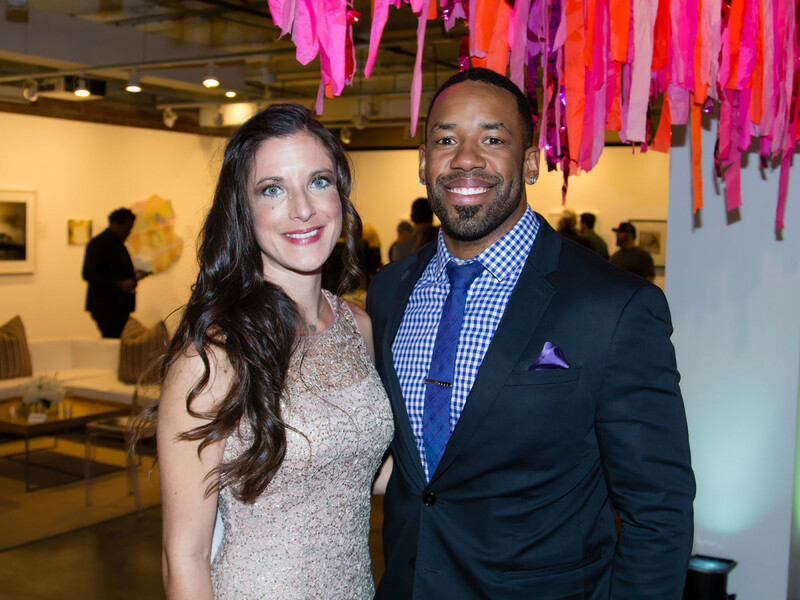 The fundraising gala and art auction helps raise crucial funds to help DCAC in its mission to improve the lives of abused children in Dallas County. 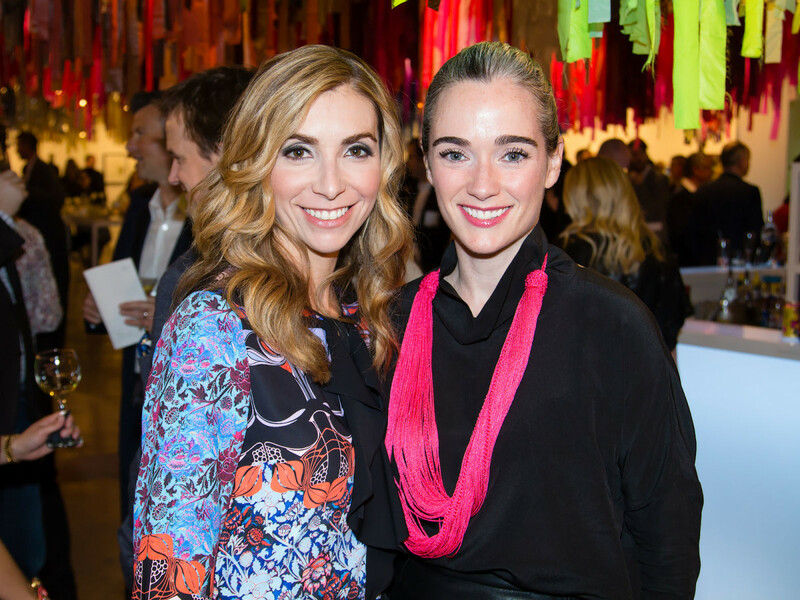 Only some followed the dress code of “colorful chic,” which enabled guests such as pretty-in-pink Stacy Girard to stand out in the crowd. 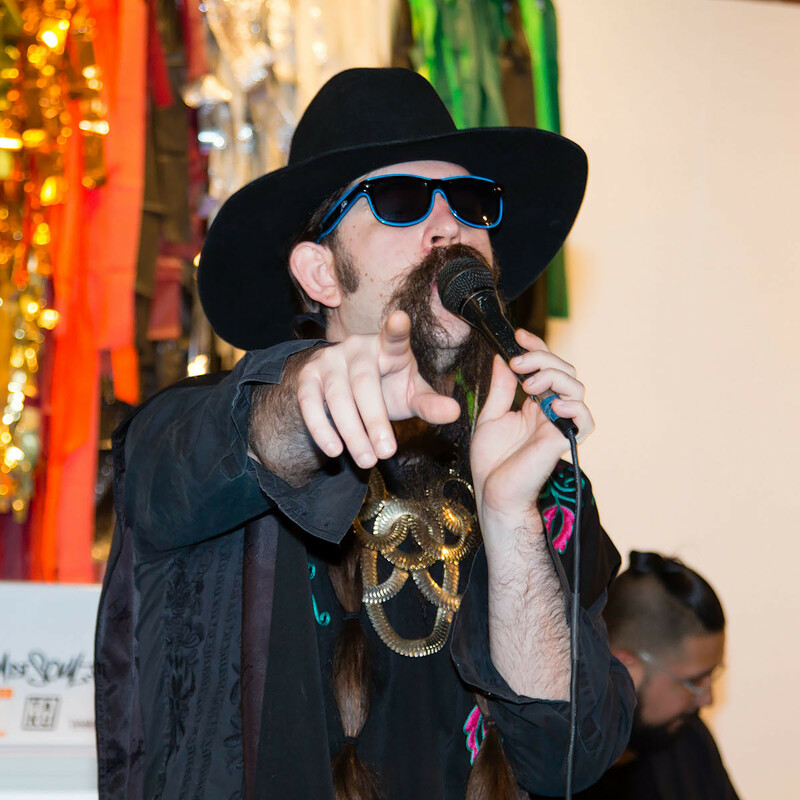 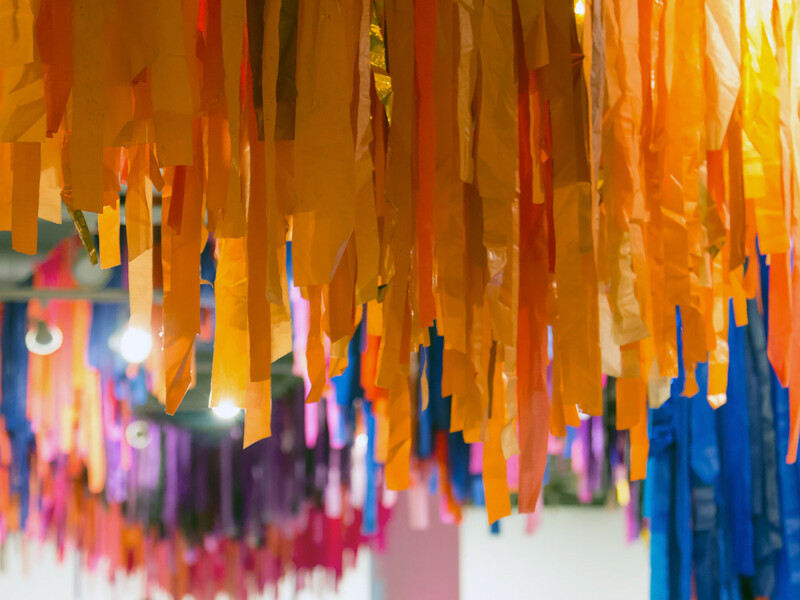 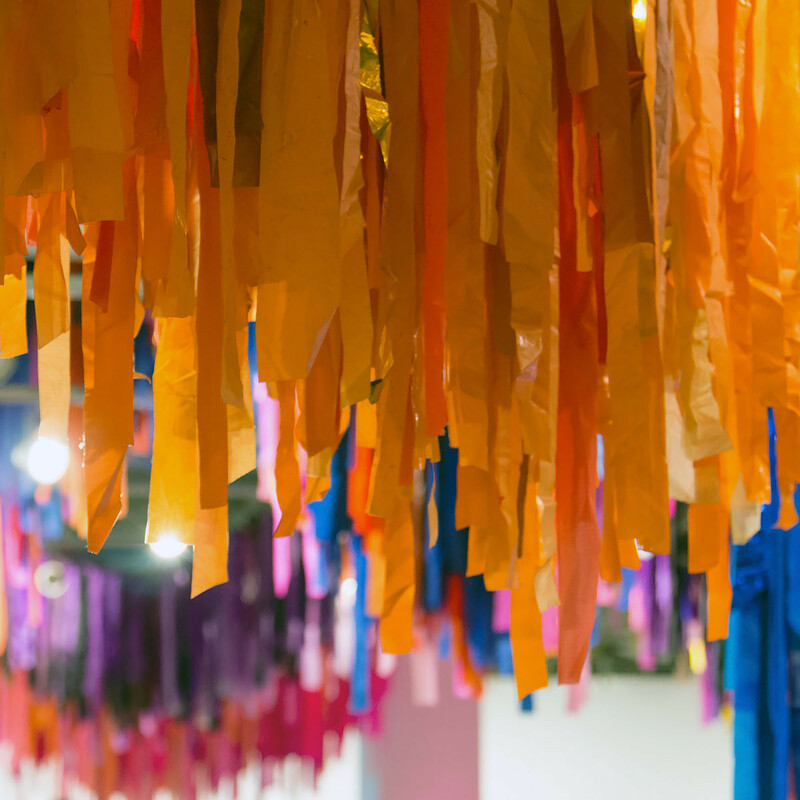 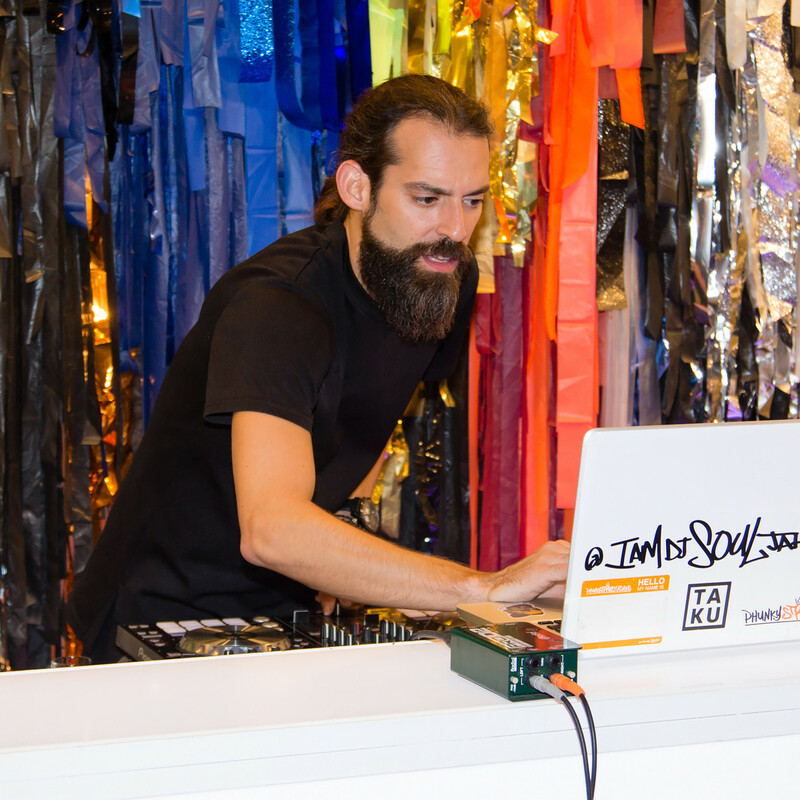 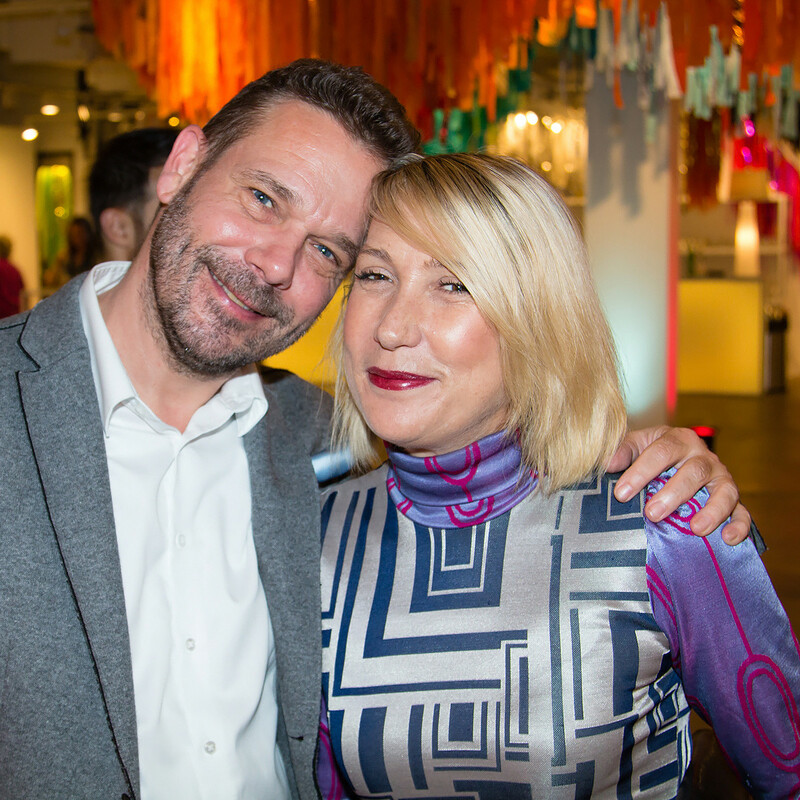 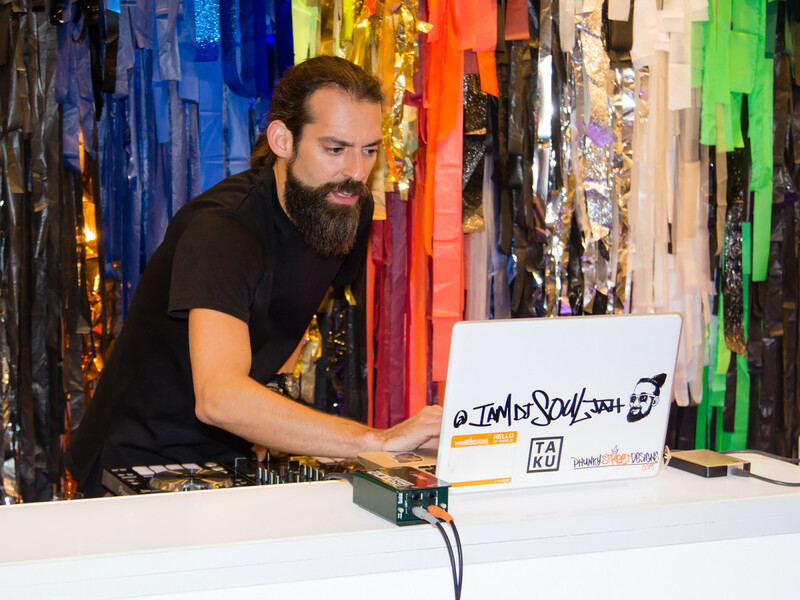 However, the event didn’t lack for cheerful hues, thanks to the work of Color Condition, who installed their signature rainbow-colored streamers throughout the second floor of Fashion Industry Gallery. 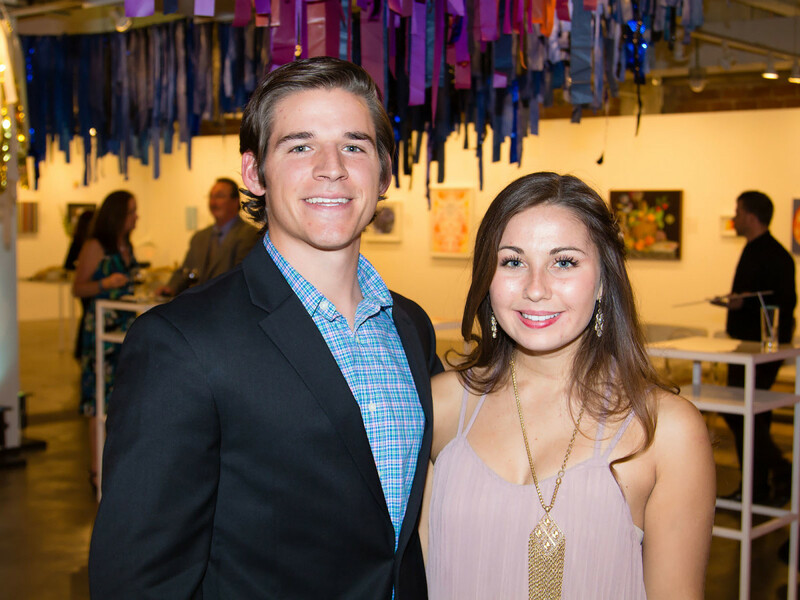 Color also could be found in the artworks, which were generously donated by more than 100 local and regional artists, including Rusty Scruby, Emil Cerullo, Tara Conley, Gian Garofalo, Ruben Nieto, Arthur Pena, and Zach Saucedo, in conjunction with participating galleries such as Craighead Green, Cris Worley Fine Arts, Holly Johnson Gallery, and Circuit 12 Contemporary. 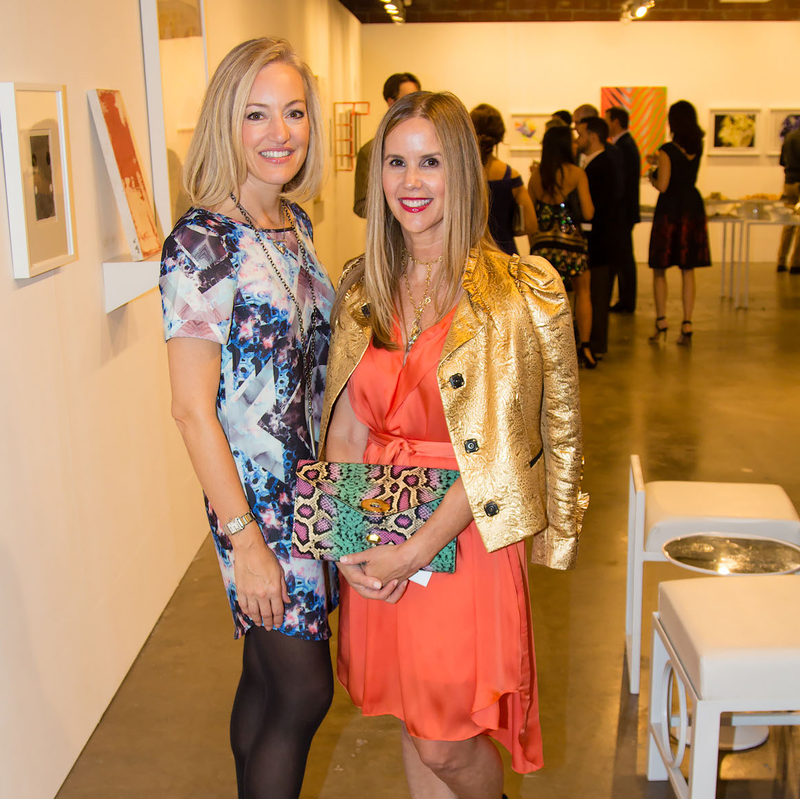 Bigger-ticket silent auction items included art-driven trips to New York, Chicago, and The Hamptons. 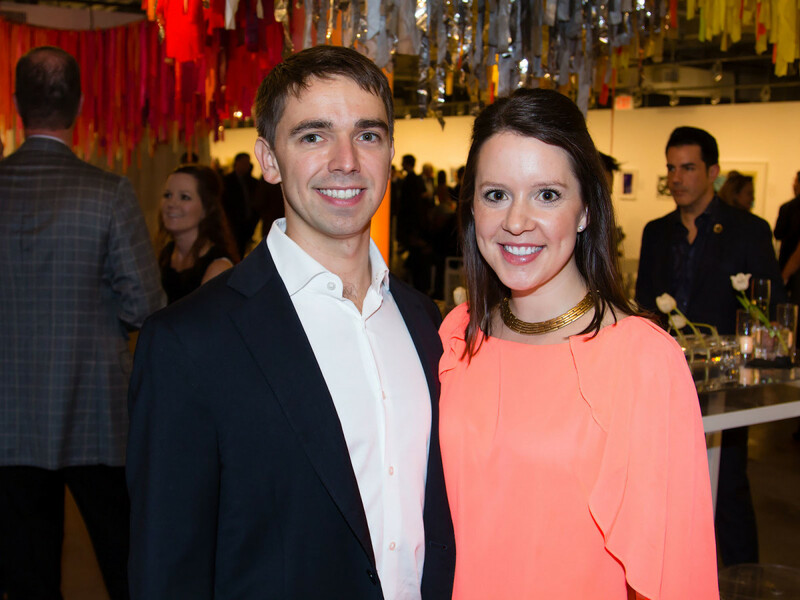 Hanging among the works were reminders of the DCAC mission, in the form of photographs of the children the organization serves, with messages about how a $100 donation provides 10 birthday bags for child abuse victims or how $250 covers the cost of a forensic interview with one child. 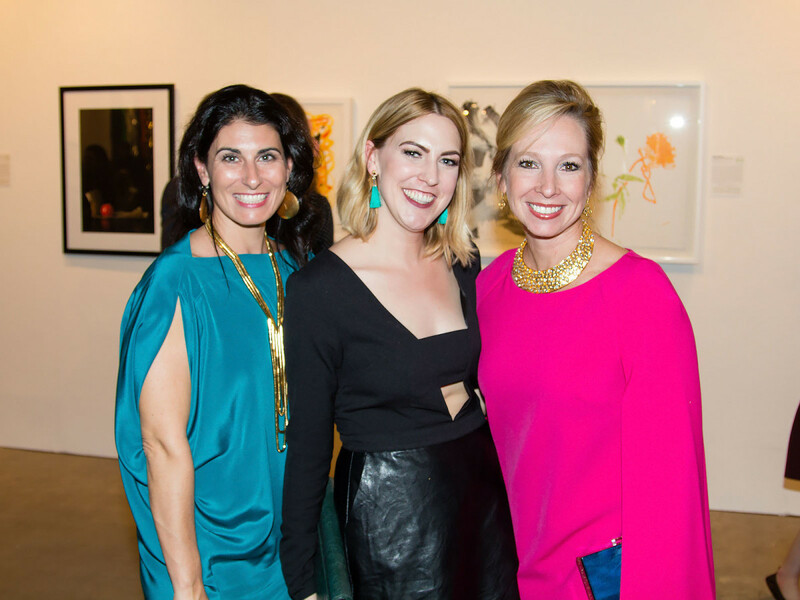 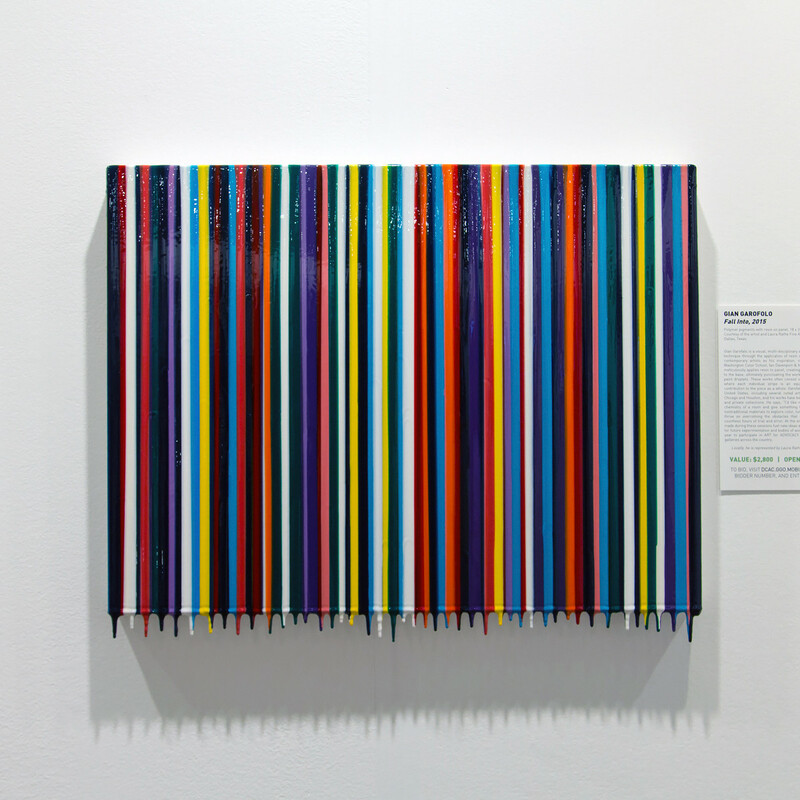 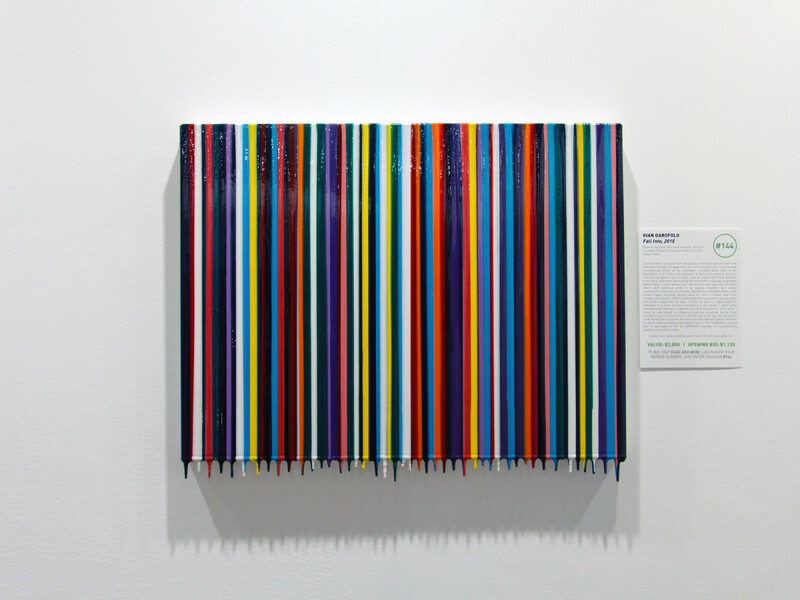 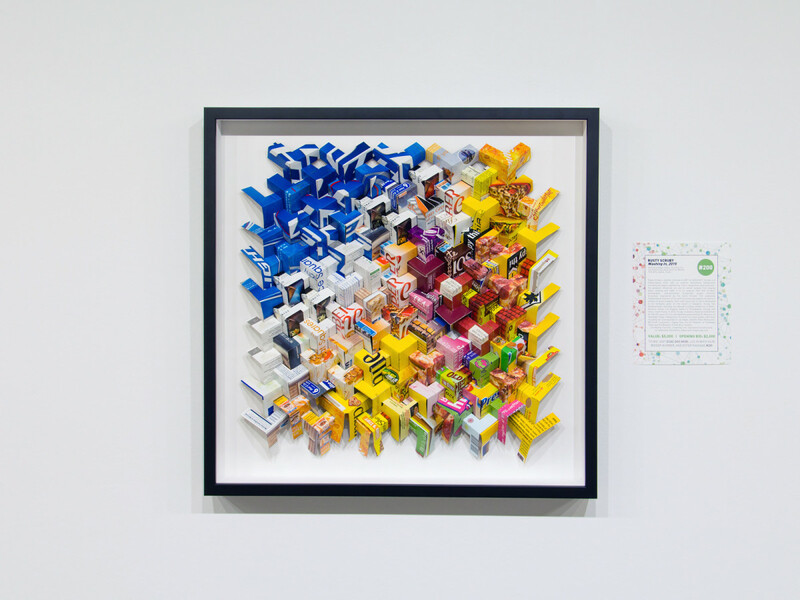 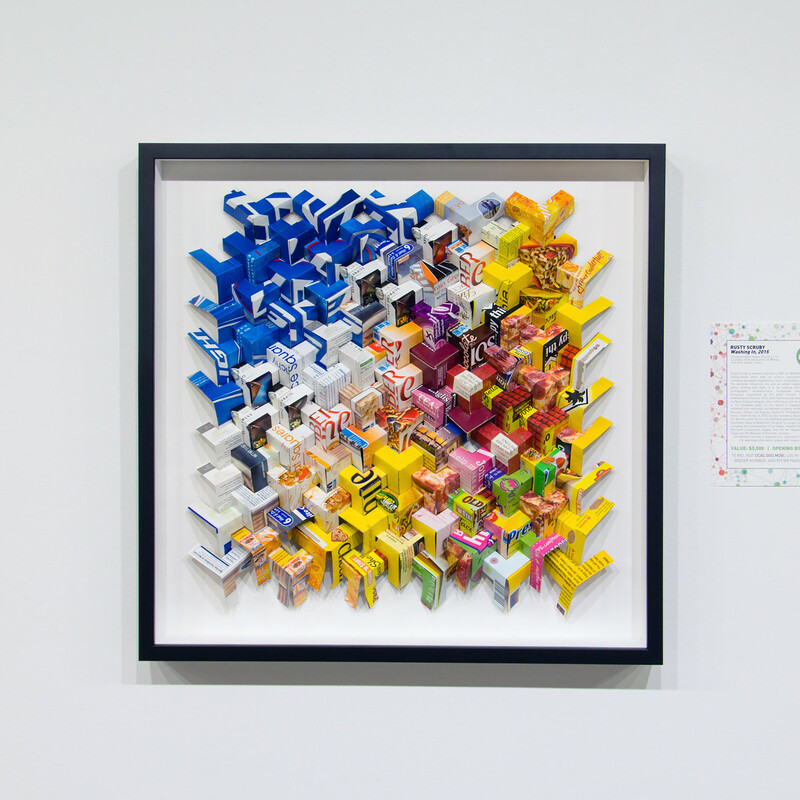 Supporters could conveniently place bids on art and send funds directly to the nonprofit via mobile app. 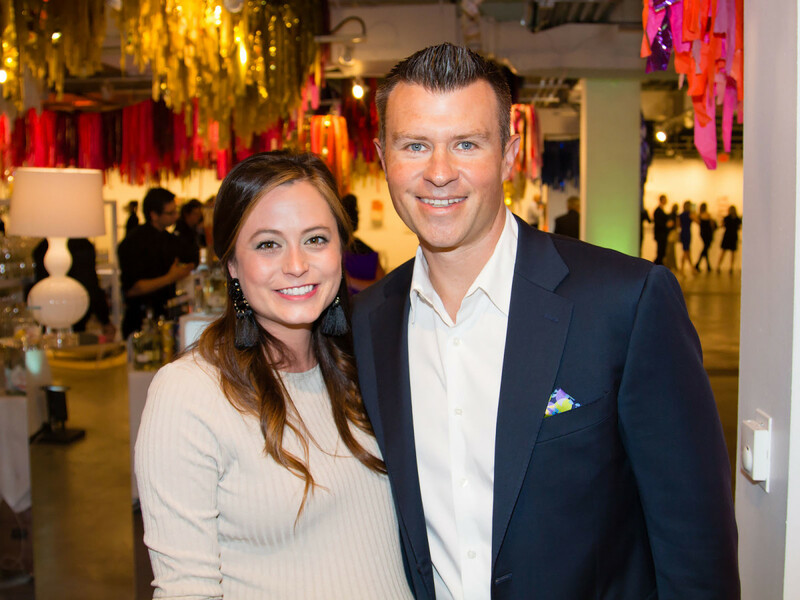 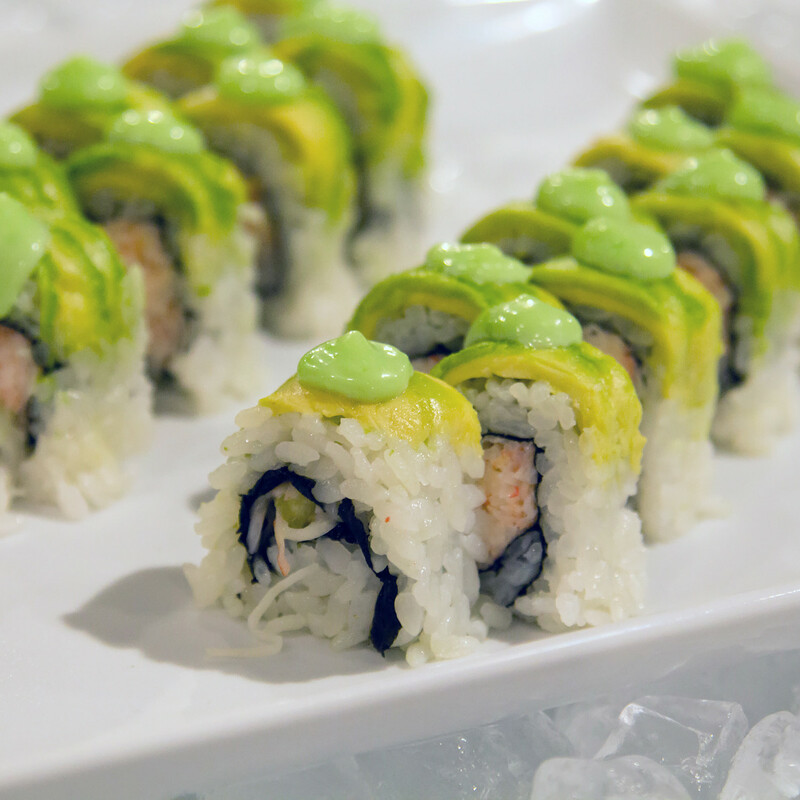 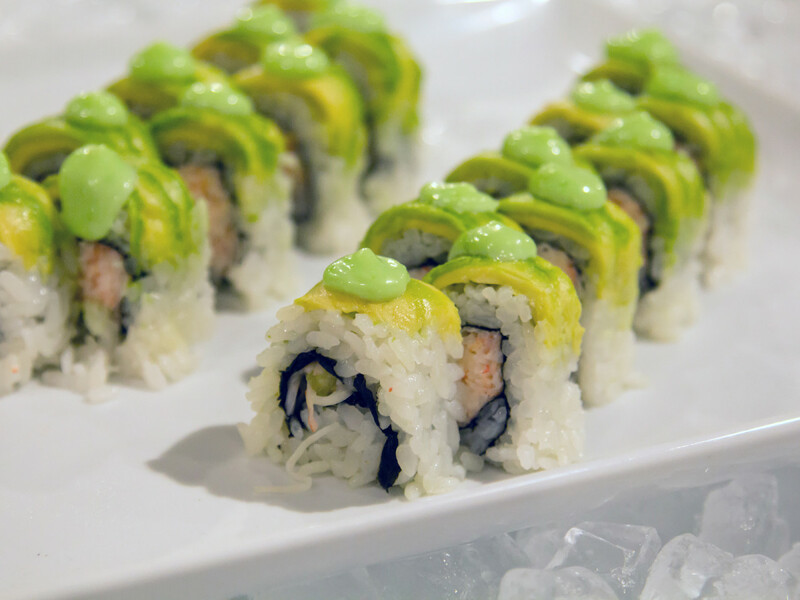 Attendees also enjoyed sophisticated, hearty hors d’oeuvre — cheese, charcuterie, short ribs, sushi — provided by Lombardi Concepts and colorful (of course) cocktails. 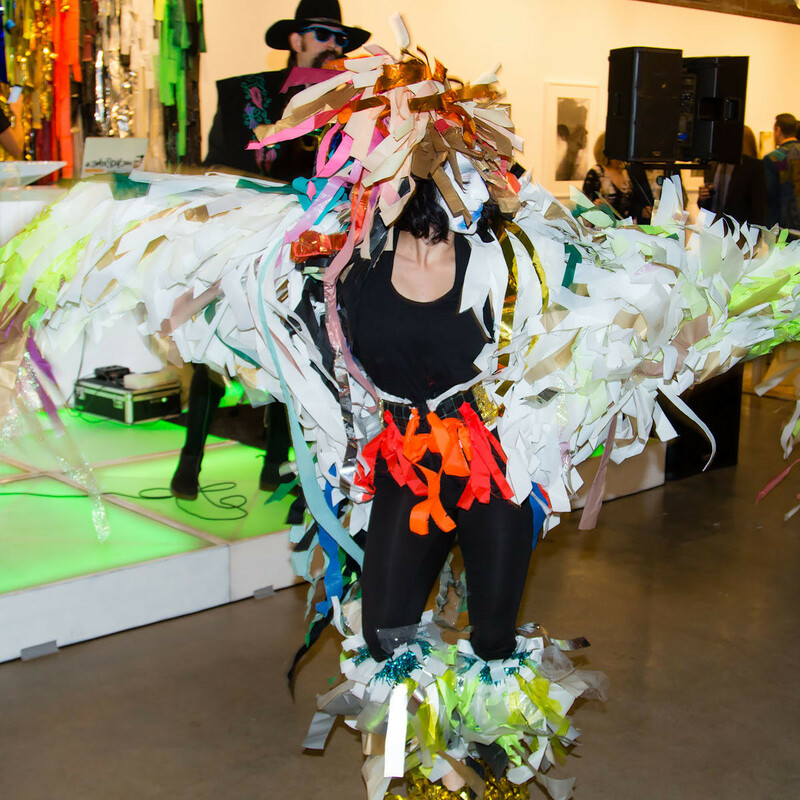 A highlight of the evening was a musical performance by local band Ishi, who were accompanied for a few songs by dancers clad in Color Condition streamers. 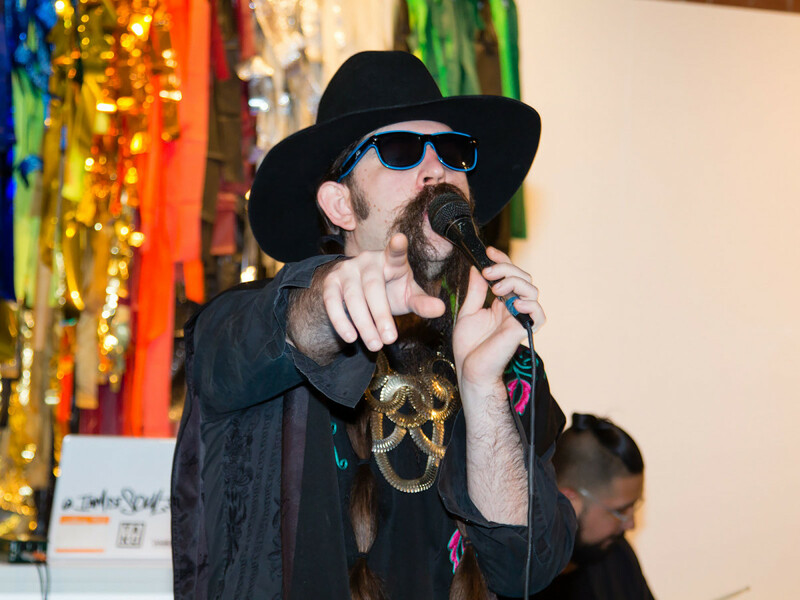 Front and center was man about town John Reoch. 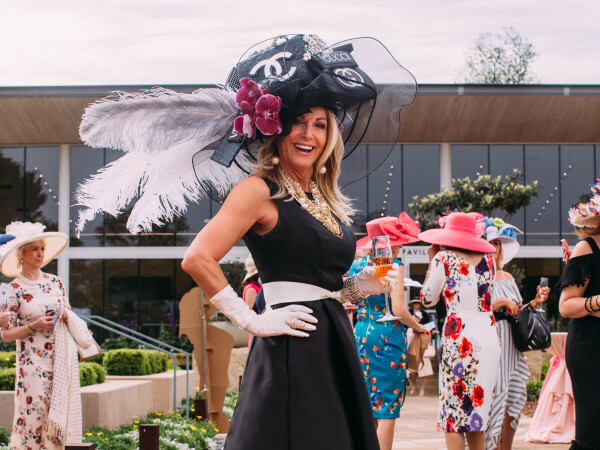 Others spotted in the well-heeled crowd: Erin Cluley, Scott Dawson, Suzanne and David Droese, Lynn McBee, Nancy Gopez, Selwyn Razor, Alyssa and Justin Powell, Lindsey Dunnagan, James Rizzi, Sarah Kelly, Charles Jones, Frank Hettig, Wanda Dye, and Rachel and Hampton Richards. 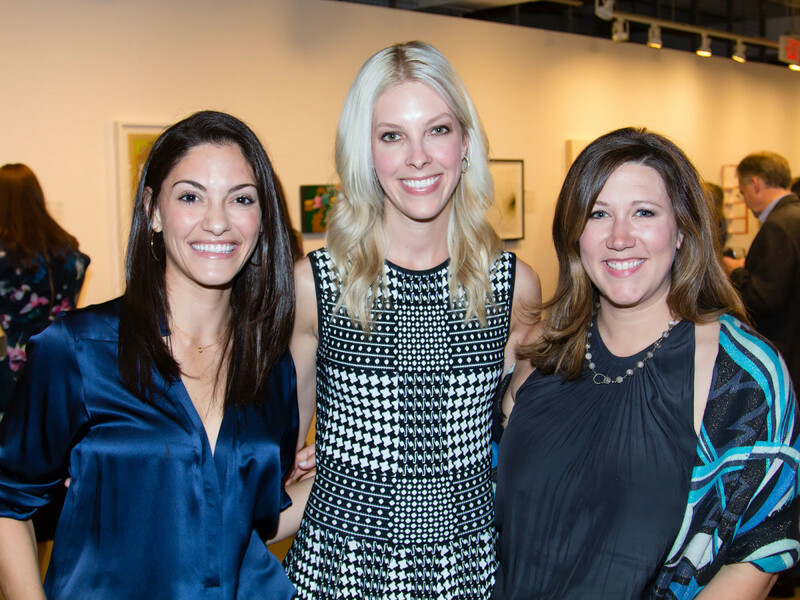 Since its inception in 2007, Art for Advocacy has raised more than $2.6 million in support of the art therapy program and other crucial services for child abuse victims at the Dallas Children’s Advocacy Center. 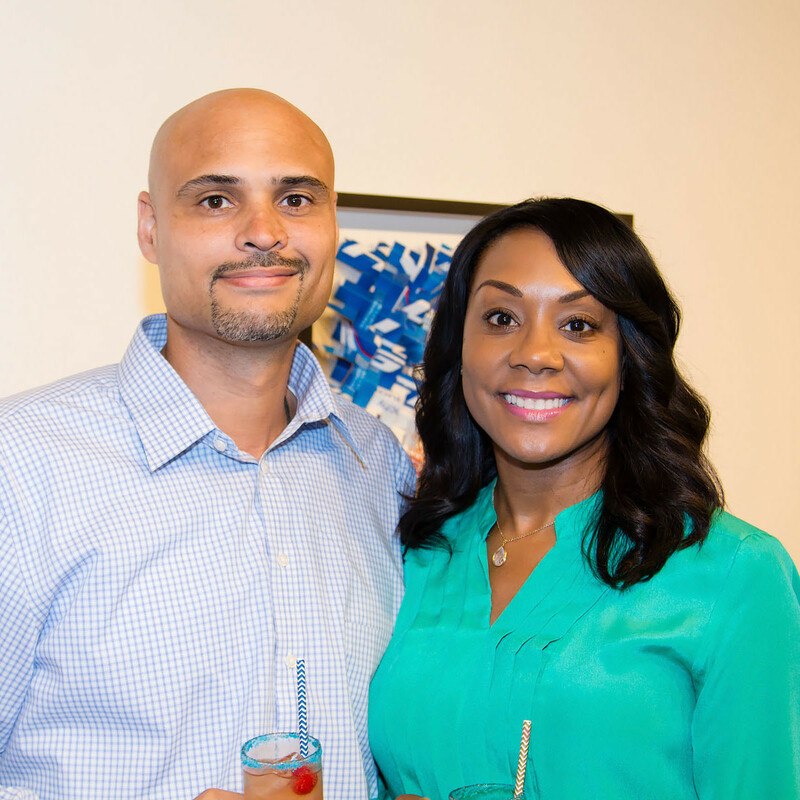 The only agency of its kind in Dallas County, DCAC provides a coordinated, multidisciplinary approach to the investigation, prosecution, and treatment of child abuse cases.